Three years from now, do you expect to be as strong and agile as you are today? How about six years from now? If you answered “Yes” – write down three things you do on a regular basis to challenge your strength, mobility and endurance. If you answered “No” – consider why that is. Do you believe functional decline and physical impairment is just an unavoidable part of aging? I find that many articles written for “seniors” have an undercurrent of ageism. There seems to be a general expectation that as we age we must prepare for becoming physically frail. For example, articles on aging-in-place often reference “senior friendly” or “senior access” rather than focusing on the issue of functional impairments regardless of age. This turns otherwise helpful information into a subtle reinforcement of the idea that it’s “normal” to become physically frail with age. To be clear, I’m not speaking against universal design! I think it’s a great way to support independence regardless of age or functional status. I’m opposed to attaching the expectation of frailty to the normal aging process. Those exposed to negative stereotypes of aging functioned significantly worse on cognitive and physical tests than those exposed to positive images of aging. Those with positive age stereotypes were 44% more likely to fully recover from severe disability than those with negative age stereotypes. Those who expect health to fail are inactive and low age expectations amount to very low levels of physical activity. Those with a more positive self-perception of aging lived an average of 7.5 years longer. Still, there is a serious gap between intentions for remaining independent and actions. Even though about 90% of physical decline into frailty is due to lifestyle factors, the vast majority of adults over 65 still report being sedentary. If you plan to stay functionally independent for your full lifespan, then being physically active isn’t just a good idea – it’s a necessity! In a previous article - What’s Your Vitality Plan - I outlined the average loss of strength as 1-1,5% per year after age 30. Age does not cause the vast majority of functional decline – inactivity does! As inactivity causes dramatic loss of muscle mass, it’s easy to see why many adults reduce activity with age. They first give up on physical activities as they become more difficult. Then they start finding even small things increasingly difficult until eventually it’s a struggle to climb stairs or rise from a chair. Just say no to avoidable frailty! The good news is you don’t have to be a tri-athlete to prevent becoming frail! Commit to protecting your independence by gradually improving your strength, mobility and endurance. 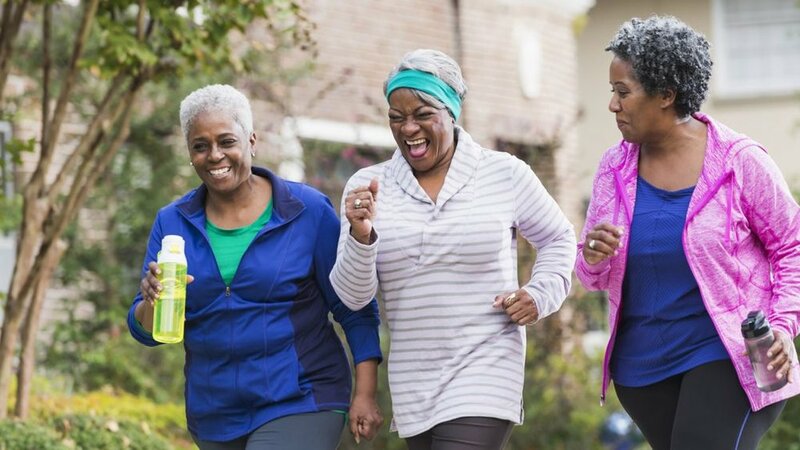 Walk briskly to build heart and lung endurance, challenge your leg and arm strength, engage in activities that support joint mobility. Most of all, change your expectations of aging to fit with the latest body of research showing that physical frailty is not a “normal” part of aging! Remember that unless you are challenged by a disease process that prevents your body from improving strength, endurance or mobility, your current physical function is a direct reflection of your lifestyle habits. That means, you can change your habits and physical function – one small step at a time! To get started with lifestyle changes, visit my website for a free downloadable Vitality Portfolio Tool-Kit. Are you happy with your currently level of fitness? What are you doing to increase your strength, mobility and endurance in your 60s? Do you feel frailer as you are getting older? Please share your thoughts and experiences below! This article first appeared on the “Sixty & Me"website. Are You Being Ageist to Yourself?